Why are women’s wallets so big? What are the types of women’s wallets? What are RFID-blocking wallets made of? Do RFID wallets cause cancer? Do RFID wallets ruin credit cards? Say what you will, but money plays an important role in our lives. You can be as idealistic as you like, but let’s face it: it doesn’t look like it’s going to change any time soon. This basically means that wallets still remain and will be one of the most important accessories both for men and for women. And subsequently, this means that wallets still make great gifts. It’s especially true for women who, in general, tend to be more particular when choosing their accessories. Women’s wallets must combine style and functionality, be both a fashion statement and a practical essential. But most importantly, women’s wallets must match their individuality and lifestyle. After all, even the most expensive and great looking wallet will be good for nothing if you don’t feel comfortable carrying it around and using it. When it comes to wallets for women, there is such a wide variety you may feel overwhelmed when trying to choose a gift option. That’s why we’ve comprised a list of suggestions to make your task much easier. Read on to get a better idea of what the best women’s wallets 2019 look like. As we are rapidly towards a cashless society, wallets with multiple slots for credit cards become increasingly more popular.This wallet is as functional as it gets. Nearly twenty card pockets, including one for your ID, and two large pockets with zippers will let you fit all your essentials inside, including a phone. It may not be particularly flashy, but it’s certainly practical and it has an important feature all modern wallets must have. The RFID-blocking fabric keeps your sensitive ID information safe from data theft. Designed for those women who don’t want to carry a bulky wallet around and just need a space-saving credit card storage. 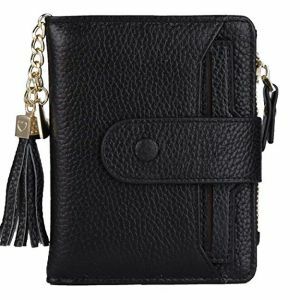 Cute and small, this is a nice genuine leather women’s wallet with data theft protection to keep your cards safe. This is just the right thing for the lovers of classic designs. The well-sized elegant clutch purse will easily accommodate all you need: credit cards, cash, your cell phone, coins, ID cards, and much more. Top-quality natural leather? Check. Much-needed RFID blocking feature? Check. Classy design? Check! Besides, it comes with a beautiful gift packaging and a small gift to boot. Speaking of elegance, there can hardly be too much of it. This amazing trifold women’s wallet is just another proof of that. If you are looking for a perfect combination of high quality, beauty, and affordability, this is definitely your option. Stunningly pretty, sophisticated, soft to the touch, and extremely functional, this clutch will conquer any woman’s heart. This is just the thing for all those lovers of the stylish boho motives out there. Grunge canvas material with a sweet elephant pattern makes it really eye-catching. It doesn’t look too bulky, but at the same time, has a lot of storage for your things. Also, it comes with a leather strap so you could comfortably carry it around in your hand. 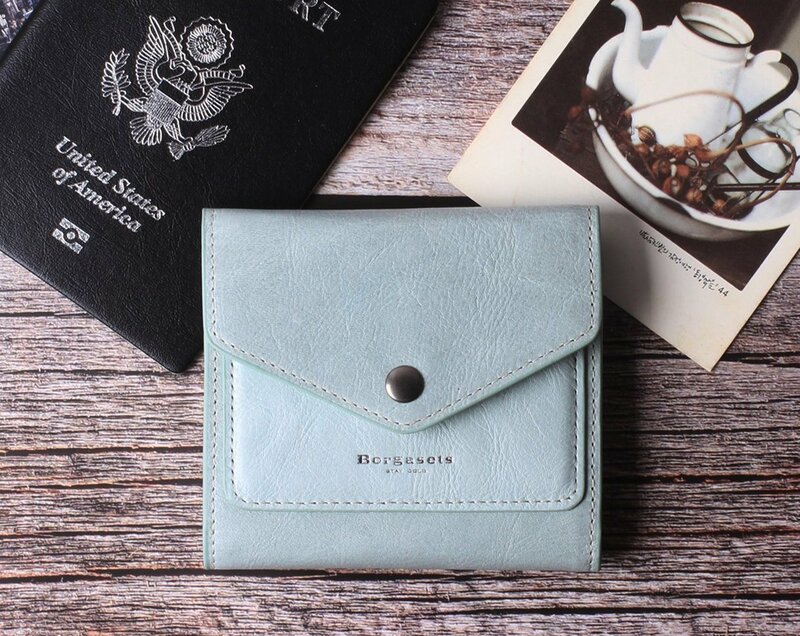 A classy piece from one of the famous women’s wallet brands, this wristlet will be an irreplaceable companion in your traveling adventures. 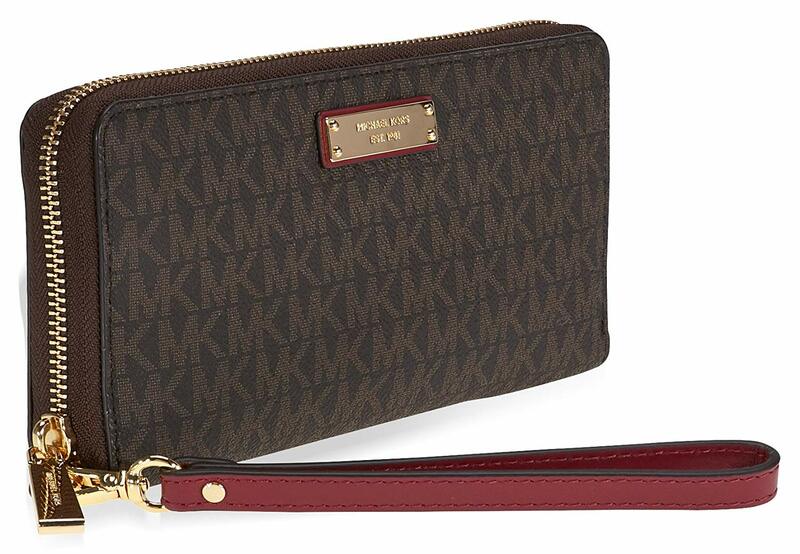 Moderately sized and exquisite-looking, it bears a classic Michael Kors logo pattern and has a maximum capacity for all the essentials you use your wallet for. Besides, it fits nicely in your hand and has a detachable strap to carry on your wrist. This wallet is the obvious evidence of the fact that cuteness and functionality can go hand in hand to an awesome result. 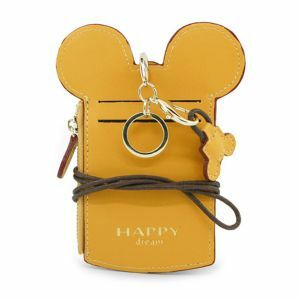 Sweet and pretty, it’s made of soft natural leather and sports a cute tasseled heart charm. At the same time, this small women’s wallet can fit up to 5 cards, has an ID slot, and a coin pocket. Besides, it incorporates RFID protection, which makes it all the more appealing. This one is for the ladies who appreciate space-saving options that can still look flashy and fashionable. Small and cute, it’s 100% hand-made and incredibly soft and smooth to the touch thanks to the top-grade natural leather material. 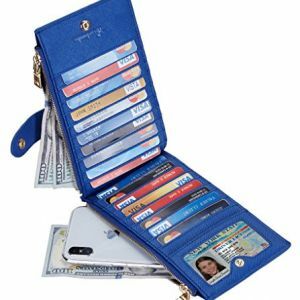 It may not fit a lot of things, but will certainly accommodate the most necessary items like a few cards, coins, and an ID card. A great wallet for girls and a cute women’s wallet for credit cards. The fact that it has that RFID protection doesn’t hurt at all! If you happen to know a woman who likes to try and fit everything in her wallet, this is most likely a great wallet for her. This wristlet has everything you need plus a little extra. Lots of slots for cards with RFID blocking feature, a nice zipped compartment for your smartphone and coins/receipts and a removable checkbook wallet. Yes, that’s right, you can remove it any time when you feel like you want to keep it light. What’s more, soft 100% natural leather material makes it immensely satisfying to hold in your hand. This endlessly feminine floral women’s wallet will be great for those true romantics at heart. If you are looking for functionality, it will definitely deliver, but it’s so much more! Thanks to vibrant colors and delicate floral patterns, it will make a chic lady’s accessory and a trendy part of your look. Besides, its great bonus is that sturdy PU leather material is super durable. Let’s not forget about all the little ladies out there. Don’t they deserve having awesome accessories too? Of course they do, and this is just what they need. Colorful and fun, this wallet for little fashionistas has everything they want. Whether it’s play money or real money, it will be nice and safe in this wallet thanks to durable and washable materials. Have no doubt: they will be absolutely delighted to get a gift like this. This cute wallet is just another proof of the “less is more” maxim. Small enough to carry around in your pocket, it’s still capable of fitting up to 8 cards and full-length bills. 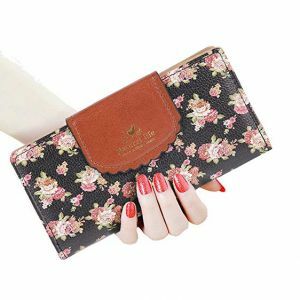 So if you are not a fan of large wallets and wristlets but still want your wallet to look elegant and stylish, this option would be perfect for you. What’s more, it also incorporates the RFID safeguard technology so you could forget worrying about your credit card information safety. 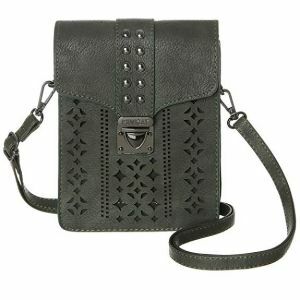 This cute crossover between a crossbody purse and a wallet is an ultimate hit. 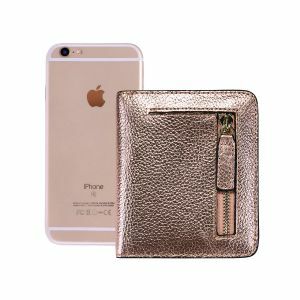 Sturdy high-quality synthetic leather, great decorative details, durable hardware, and a lot of space for your cards and your smartphone make it a win-win option. Whatever you use it for – everyday shopping, traveling, or outdoor walking, it will be unfailingly handy. Besides, thanks to the crossbody strap, your hands will always be free. If you want something fun and colorful, this charming neck pouch will win your heart over. It’s especially great for traveling as a storage for your tickets, IDs, and cards. Besides, neck pouches are safer to carry around than regular wallets. 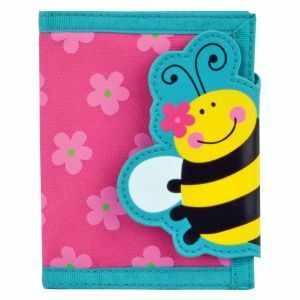 Younger girls and teens will find this sweet ladies’ wallet especially endearing. 1. Why are women’s wallets so big? Not all women’s wallets are bulky, but many women still prefer carrying around large wallets. The reason is for women, wallets are much more than just a money/credit card storage. First of all, a wallet is an essential accessory and a big fashion statement and as such, it has to be, well, big and eye-catching. Second, there is a practical side to it. Women prefer using their wallets not only for money, but for other important things like receipts, checkbooks, business cards, documents, and more. 2. What are the types of women’s wallets? 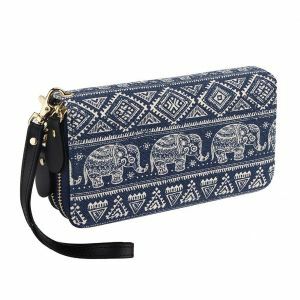 Clutch wallets (also, wristlet wallet) – large hefty wallets with several compartments for keeping cash, coins, IDs, and cards. They usually come with a small strap to carry it conveniently on your wrist. As a rule, clutches and wristlets are used not only for their direct purpose but also as a stylish fashion accessory. Because these wallets are quite capacious, women often use them as a kind of purse. 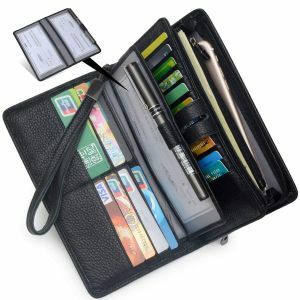 Bifolds – small wallets with a minimum number of useful slots and compartments. They usually easily fit into the smallest handbags or even pockets. This makes them quite a practical choice for those who don’t like carrying around large heavy wallets. Trifolds – as the name suggests, these wallets have three sections: two folds and a middle section. 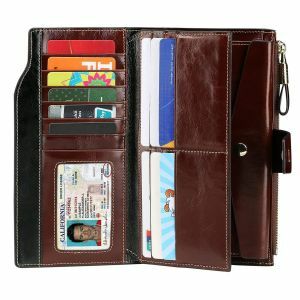 Otherwise, they are not much different from bifolds, containing one long pocket for cash and a few slots for credit cards and IDs. 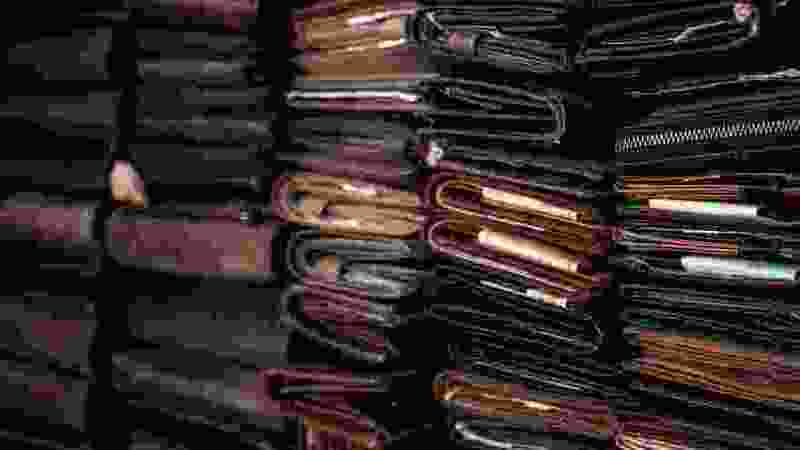 Money clips – these wallets look more like leather document covers with a metal clip to keep your cash firmly fixed inside. They are usually quite small in size and sometimes have a few slots for credit cards. Credit card holders (also, coin purses) – small and compact wallets designed to specifically to keep credit cards or coins. 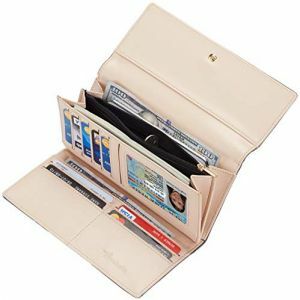 Accordingly, credit card holders and co purses contain no compartments but credit card slots or a single compartment for coins. 3. Are RFID wallets safe? RFID (Radio Frequency Identification) is basically a tiny electronic chip that may be incorporated in your credit cards, documents, and other products you may use on a regular basis. The radio waves these chips issue are unprotected, which makes identification information theft possible. 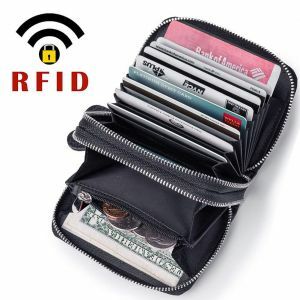 Many wallets nowadays come with an RFID-blocking system that disables the possibility of scanning your RFID chips. There is absolutely no research-based evidence that RFID blocking systems may be unsafe for you and your health. 4. What are RFID-blocking wallets made of? All wallets incorporating an RFID-blocking technology are lined with a special kind of fabric that blocks radio waves and prevents scanners from “seeing” your credit cards. 5. Do RFID wallets cause cancer? Again, there is no scientific-based proof that RFID-blocking technology can harm your health in any way. 6. Do RFID wallets ruin credit cards? No. In fact, RFID-blocking wallets keep your credit cards from possible demagnetization. So it’s the other way around. Hefty capacious wristlets to tiny bifolds that easily fit in your hand, these are the best options for women’s wallets in 2019. We’ve made this list with the latest fashion trends, quality, and affordability in mind. Of course, you can go for something more luxurious and expensive like a Coach women’s wallet or a Louis Vuitton women’s wallet if you like. However, it’s worth remembering that it’s not the price that makes a gift truly dear.